Stigma Free at UCSB brought members of University of California, Santa Barbara and the surrounding community together to share information about mental health and the issues of stigma on Nov. 13. The fair was organized by Active Minds, Associated Students, and the Commission on Student Well Being to spread awareness and unite the community. 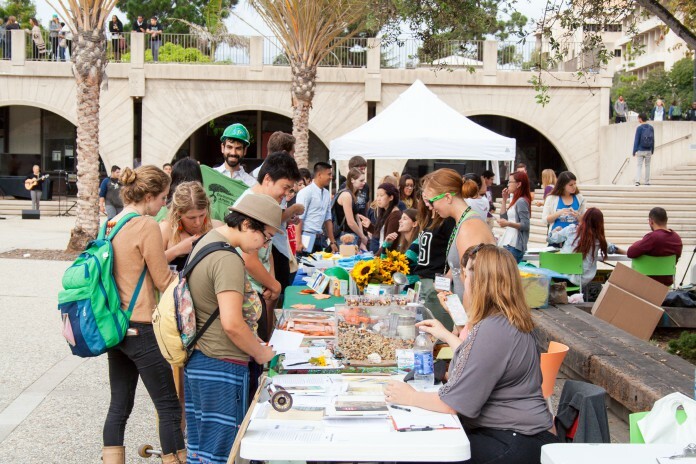 The event was held in Storke Plaza from 12 PM-5 PM, where students to stop in, explore, and participate throughout the day. From 12 PM-2 PM, various student and community organizations, pertaining to many aspects of well-being, set up booths where people could stop by, talk to the members, and learn about what they do. The fair offered food and music as students talked to people a learned more about mental health. From 2 PM-5 PM, the event consisted of a video presentation of a TED talk on stigma, speeches and discussion with a panel of students and professionals, and a relaxing meditation session. The fair started this conversation with students, professionals, staff, and other members of the community by talking about stigma and bringing it into the open. The personal stories people shared began with a TED talk by Kevin Breel, who shared his own experience with depression and the stigma surrounding it in a video presentation. Those in the audience had the opportunity to gain new perspective through these stories. The discussion and panel stressed how mental health issues are common, and so is the stigma that surrounds it. Heidi Zetzer, a director at Hosford Counseling and Psychological Services in Santa Barbara and a speaker on the panel, stressed that people who struggle with mental health issues are not a separate group to label and fear, and they are not people whose entire identity surrounds their illness; they are us. They are afraid of being ostracized, and they hide what they are going through. Zetzer explained that this point is what makes these events so important and relevant to students.